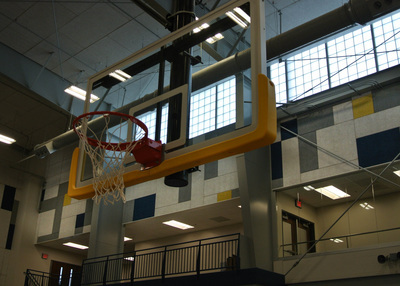 Marion Health Education Center - HURST-ROSCHE, INC. 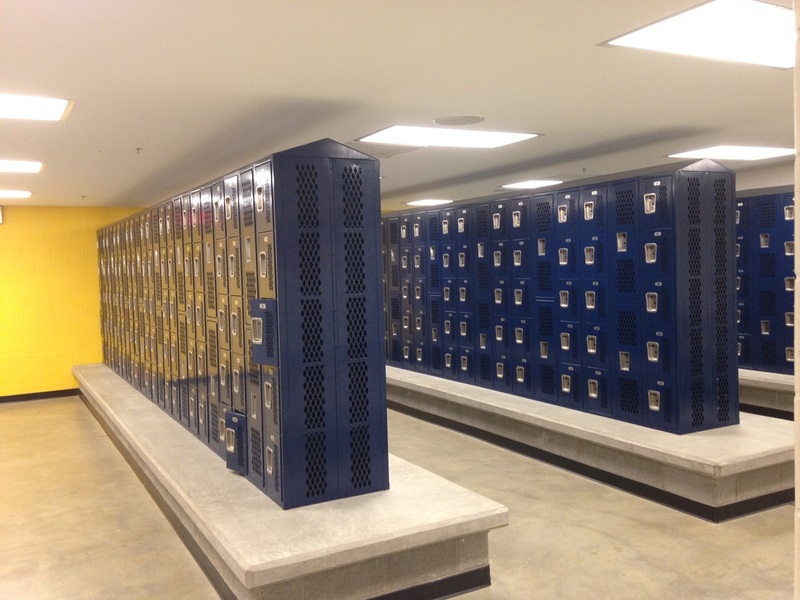 The Marion High School Health Education Center (HEC) is an educational/athletic facility serving 1,300 students and athletes. 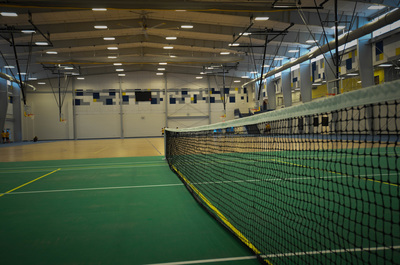 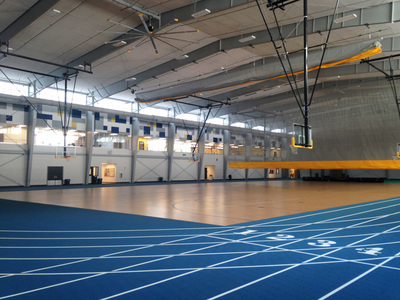 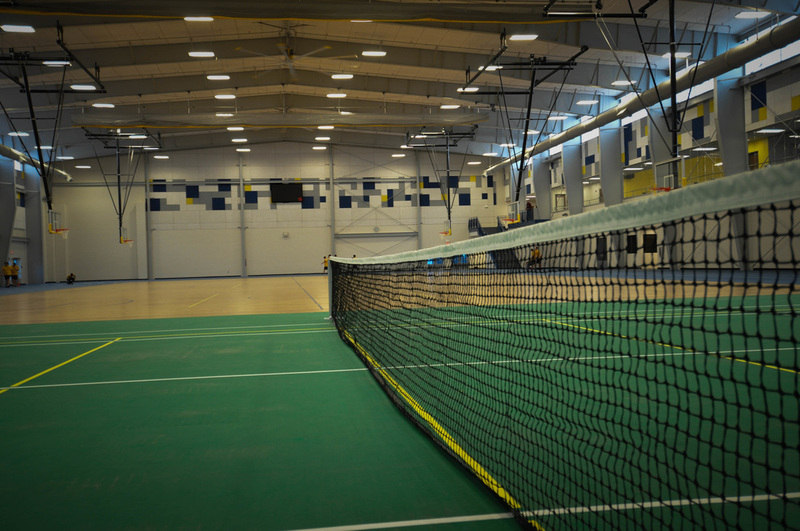 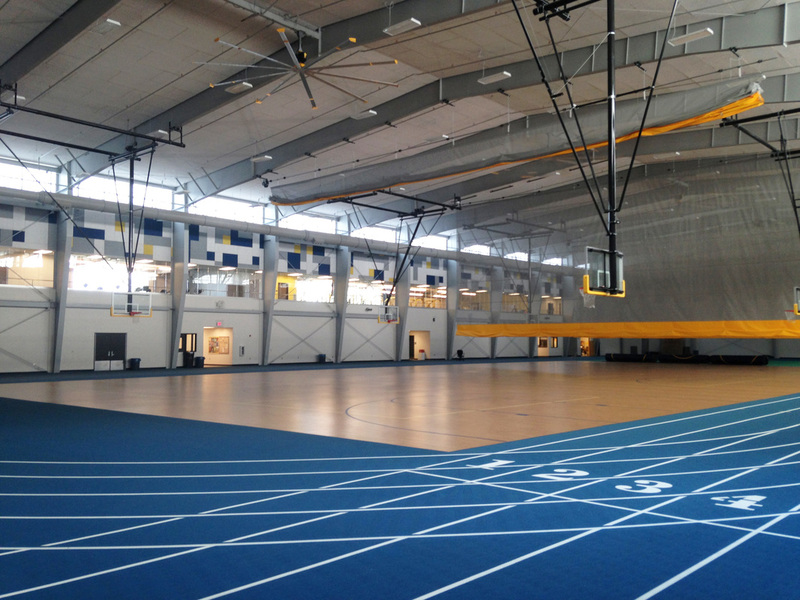 The 57,600 sf building has a main Field House serving all physical education, with a 200 meter indoor track and field facility, three competitive basketball/volleyball courts, a regulation tennis court, and baseball/softball batting cages. Supporting these P.E./athletic spaces are four separate locker rooms, a fully equipped trainer’s clinic, administrative/coaches’ offices, public toilets, and storage rooms, all accessible to the Field House and outdoor Stadium field. Also on the first floor is the 3,500 sf Wellness Center, an independently operated primary health care clinic serving all District staff/faculty, students, and their families. 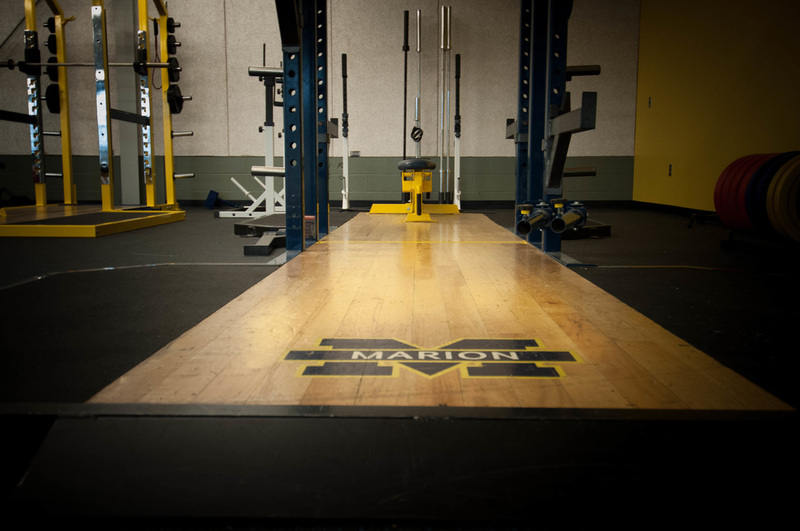 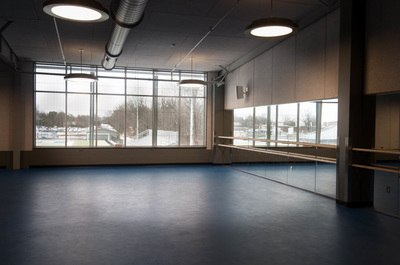 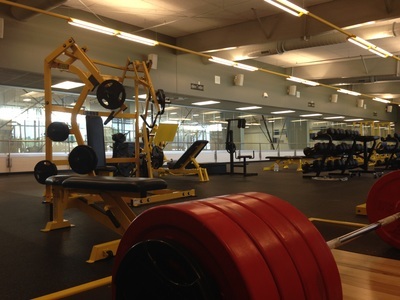 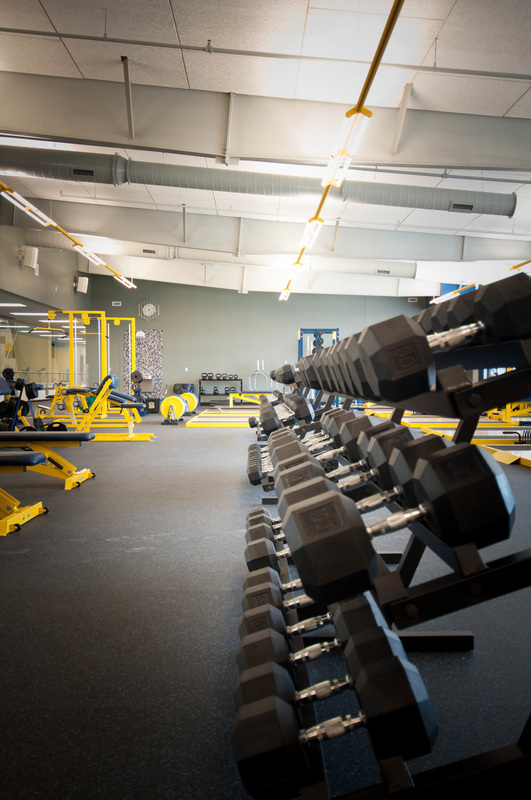 The second floor hosts separate aerobic and weight/strength training facilities overlooking the stadium and multi-purpose room can accommodate both athletic and organizational group activities. 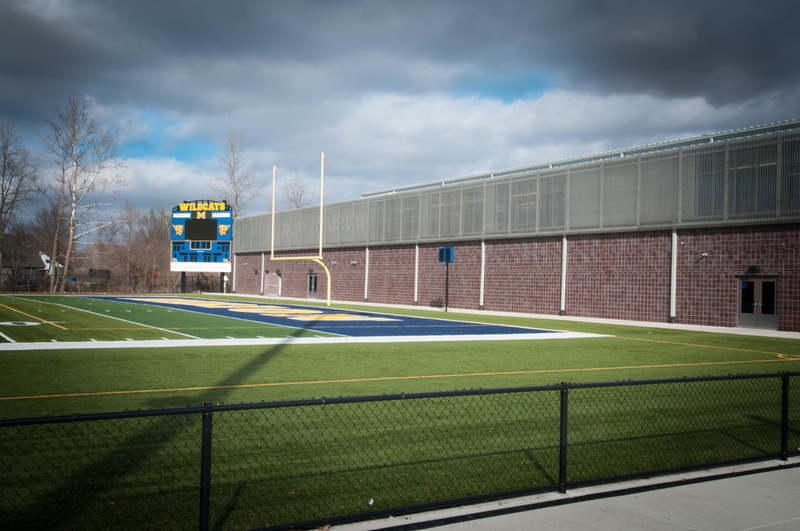 The outdoor Wildcat Stadium received a new synthetic turf combination football/soccer field, grandstand seating for over 3000, elevated booster pavilion serving 300 and over 5,000 sf of out-of-weather storage. The energy conscious facility is heated and the second floor is air-conditioned via geothermal wells beneath the parking lot. 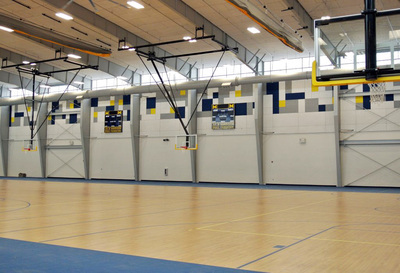 And natural day-lighting and vibrant acoustical treatments lend visual and acoustical comfort.